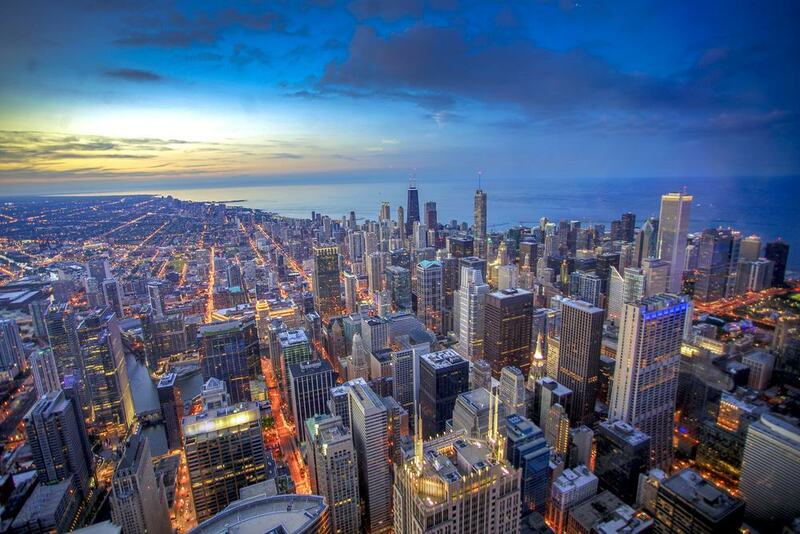 The Windy City has awe-inspiring skyscrapers, hunger-stomping food and culture to match almost any city in the world. But what never ceases to amaze is just how much you can do for free in Chicago. Donations by philanthropists have bestowed the city with superlative museums and more than 700 works of public art, by Picasso, Chagall, Miró – the list is huge. These have turned the skyscraper forest of the Loop and the Millennium Park into one big outdoor gallery. There are free events too, like Taste of Chicago, the largest food festival in the world, and music festivals to honour the city’s enviable music heritage. 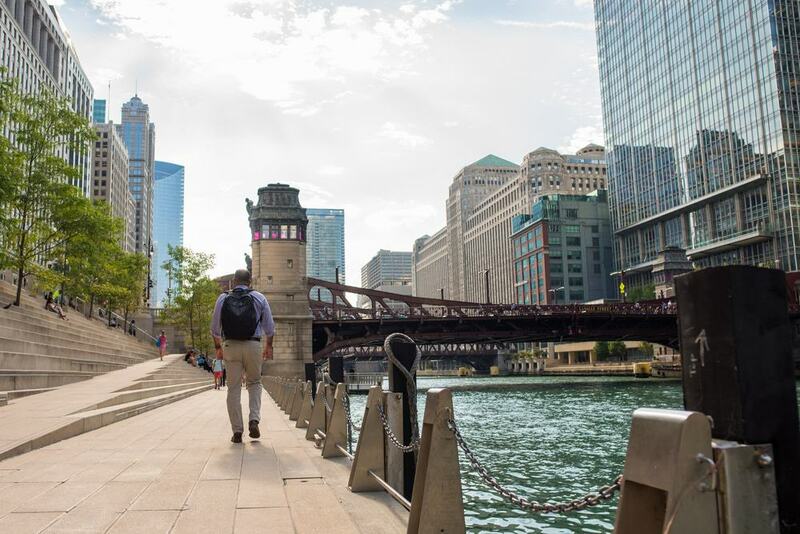 Chicago is also great to get around on foot, along the Lakefront Trail or the new Riverwalk, or even underground in the sophisticated Pedway system. Out on Lake Michigan and along the Chicago River you can sit back and give Chicago’s cityscape the attention it deserves. There’s a selection of cruises, from gentle lake tours to exhilarating speedboat rides. The Classic Lake Tour is a 40-minute sightseeing trip giving you plenty of time to soak up the sights, and with a recorded commentary for interesting titbits. At the old Navy Training Center on Navy Pier you can jet off on a speedboat for a 75-Minute Architecture Cruise, starting on the lake and heading upriver as far as the Willis Tower. 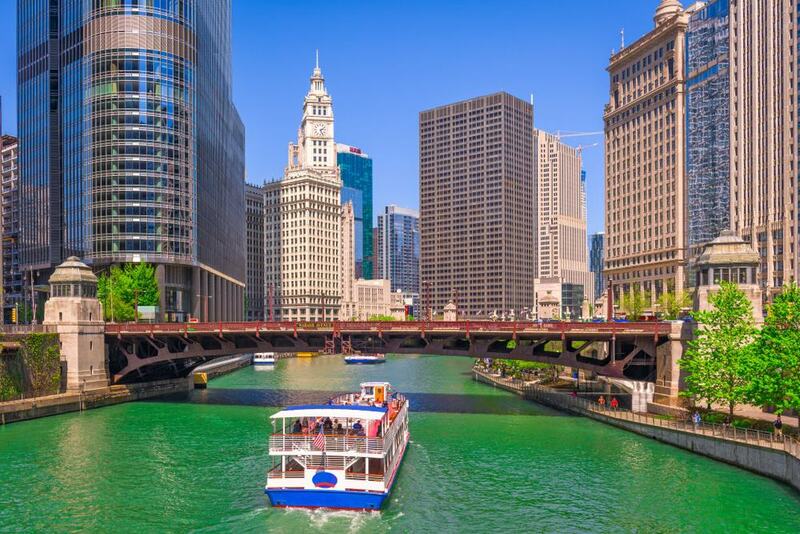 The Chicago River Architecture Cruise has a more sedate pace, and gives you a clear view of more than 40 listed landmarks, accompanied by live commentary from an expert guide. 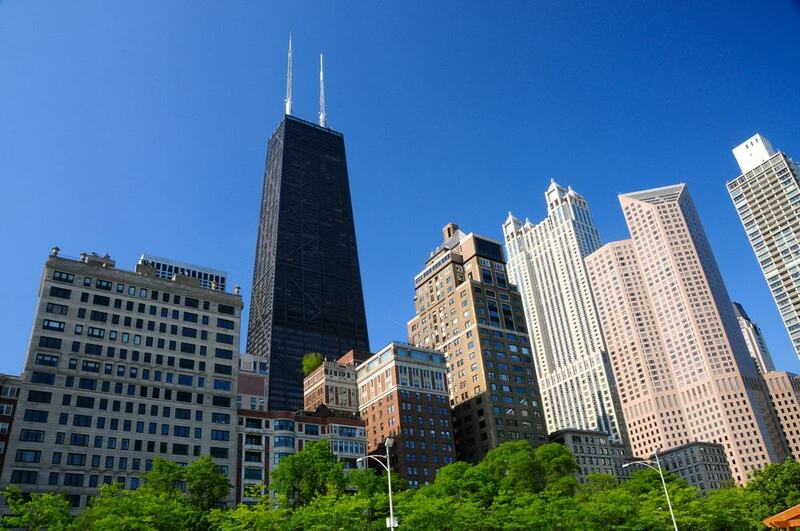 The 442-metre Willis Tower was the tallest building in the world for 25 years, and is is still among the top 25. With the Chicago Skydeck Experience Ticket, you can waste no time, skipping the line and speeding up to the Skydeck 412.4 metres above the west side of the Loop. On the meandering route to the elevator, there’s a movie detailing the 45-year history of the Willis Tower and Chicago’s other architectural wonders. After a swift ride you’ll be struck by a view extending over 50 miles and four states. The Ledge at the Skydeck will either give you a buzz or make your stomach flutter: This is a set of four all-glass boxes projecting over a sheer drop of more than 100 storeys. If it’s big portions and bold flavours you’re after, Chicago is the town for you. Chicago may be America’s top food city, and you would be brave to disagree. The staples are deep-dish pizza, hot dogs piled with seven toppings, Italian beef sandwiches, brownies and beer. Lou Mitchell’s and Twin Anchors have nationwide fame, but if you want local spots that might escape the attention of out-of-towners, there are a range of tours for hungry visitors. The Secret Food Tour lets you in on these undisclosed locations. 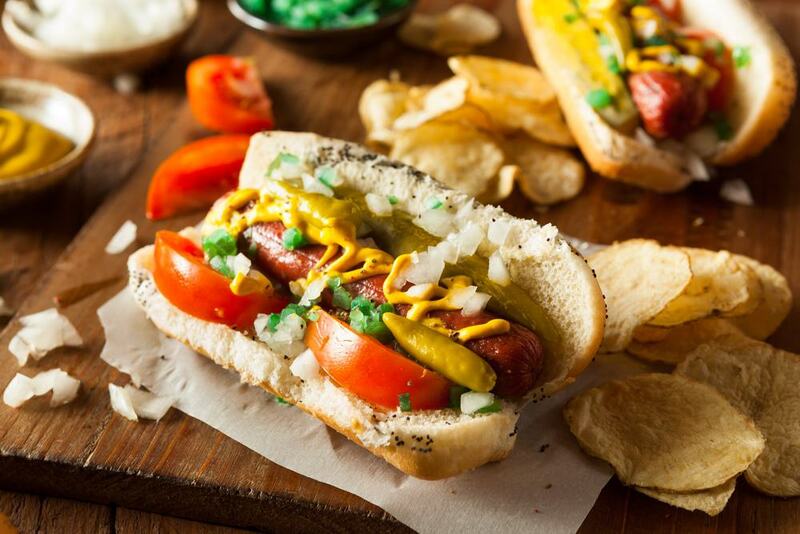 You can also take a Tasting Tour of Chinatown on foot, fill up on Mexican tortas and Polish pierogis on a Bike Tour, or get back to basics with a 2.5-Hour Walking Tour sampling the best Chicago pizzas, hot dogs and craft beer. Three of the most studied and celebrated paintings of the past 150 years await at an art museum to match the best in the world. These works are Nighthawks by Edward Hopper, American Gothic by Grant Wood and Seurat’s A Sunday Afternoon on the Island of La Grande Jatte. They are all obligatory, as is Picasso’s Old Guitarist, but are only a gateway to a whole feast of art. 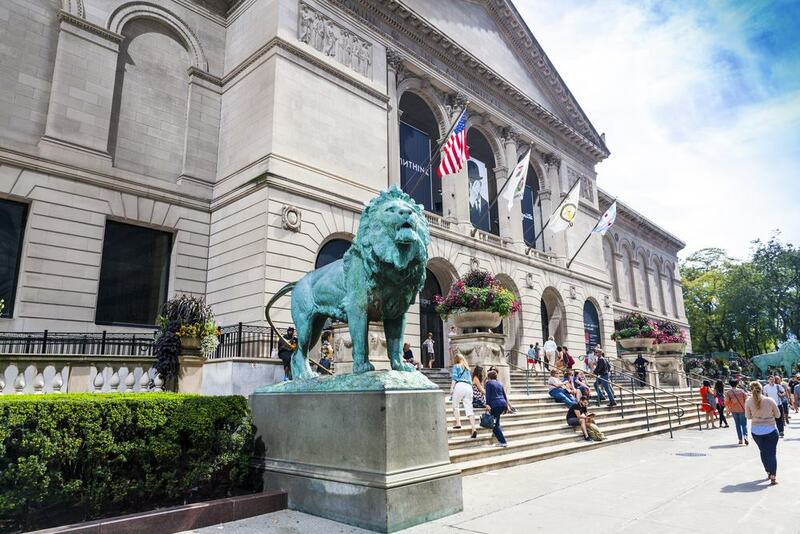 The Art Institute of Chicago has the largest collection of Impressionist and Post-Impressionist painting outside Paris, with more than 30 paintings by Monet, as well as works by Cézanne, Renoir, van Gogh and Toulouse-Lautrec. For modern art there’s Jackson Pollock, Warhol, Jasper Johns and Matisse, while the modern architecture and design collection has drawings and models by Frank Lloyd Wright, Le Corbusier and more. You can also delight in ancient Greek, Egyptian, Etruscan and Roman artefacts, from mosaics, to pottery, glass, coins, bronze and jewellery. Affectionately known as “Chicago’s front yard”, Grant Park fronts the Loop on Lake Michigan and is the city’s prime open space. 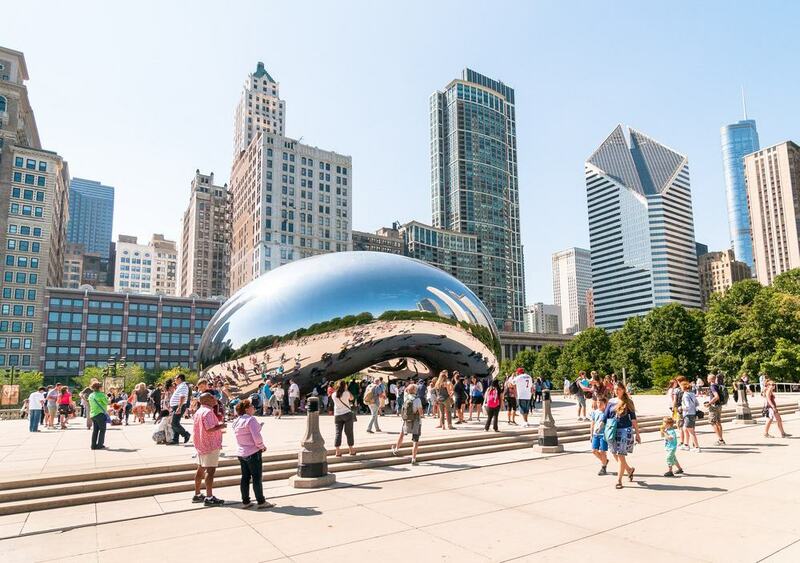 These 319 acres contain lots of Chicago’s top attractions like Millennium Park, the Museum Campus Chicago, the Art Institute of Chicago, Maggie Daley Park and the epic Soldier Field, home of the Chicago Bears NFL team. You could write a whole article on Grant Park and the layers of things to do in its boundaries. 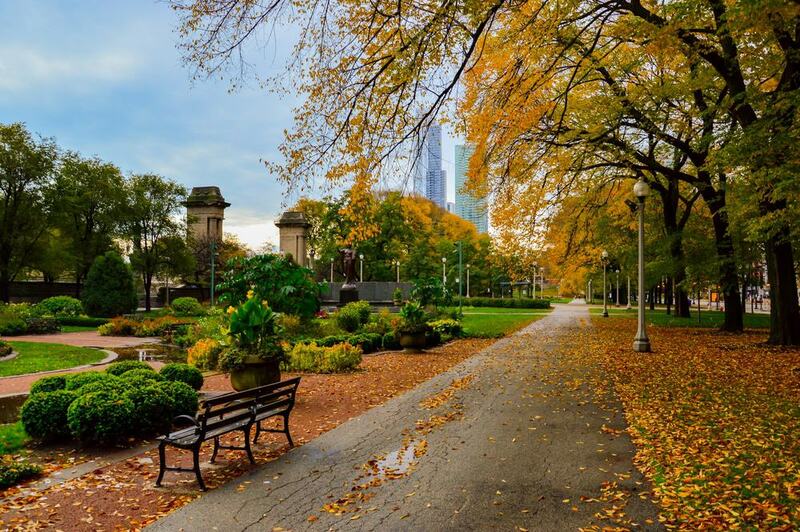 But it’s also worth remembering that the park is a lively place for Chicagoans just to unwind and be active, with baseball diamonds, tennis courts and lush boulevards to wander down. 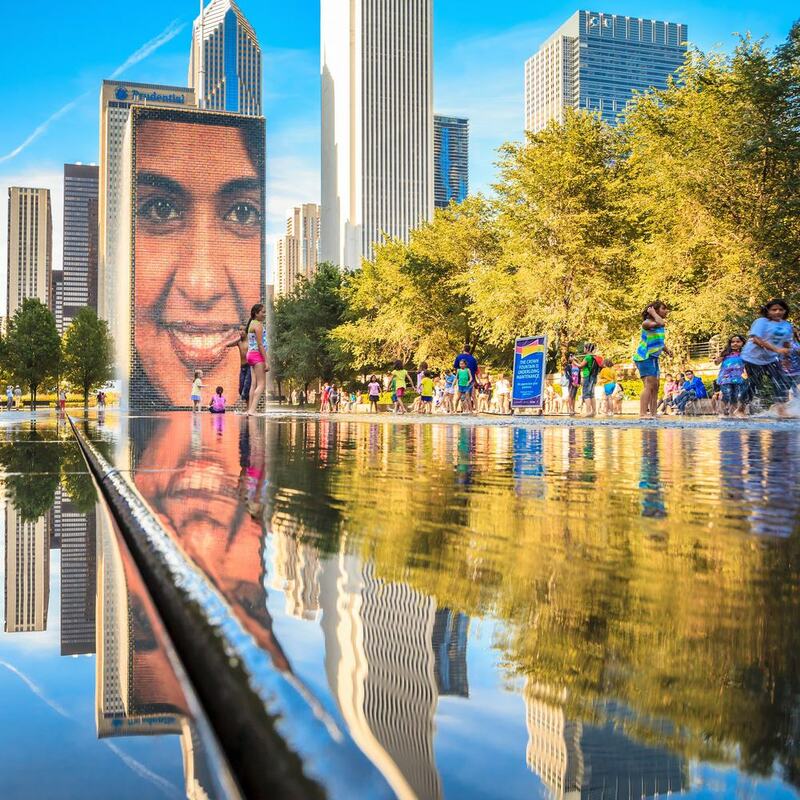 In July Grant Park hosts the Taste of Chicago Festival, the biggest food event anywhere, and in October is the start and finish line for the Chicago Marathon. Created to herald the new millennium, this award-winning space in Grant Park is the most popular visitor attraction in the Midwest. Free to enter, the Millennium Park has bold public art, spellbinding architecture and some forward-thinking initiatives. For a taste, the 2.5-acre Lurie Garden is part of the world’s largest green roof, while the McDonald’s Cycle Center is a sleek indoor bike station offering rental, repair and an array of services for Chicago’s cyclists. We’ll bring up a few of the showpiece sights in Millennium Park later, but you can’t miss the Jay Pritzker Pavilion. 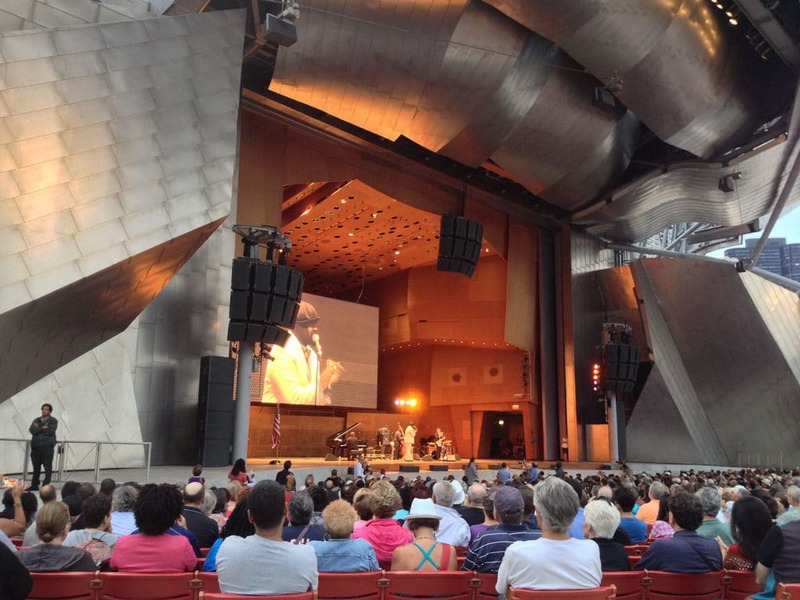 This 11,000-capacity band-shell was conceived by Frank Gehry, and from spring to autumn has a packed calendar of concerts by major recording artists and the likes of the Chicago Symphony Orchestra and the Lyric Opera of Chicago. Chicago is a city that knows how to treat pedestrians, as you’ll see along the main branch of the Chicago River as it cuts through the downtown. A feat of urban planning, the Riverwalk is 1.25 miles long, made up of six coves or “rooms” up to Wolf Point. The route will take you past photo opportunities like the Wrigley Building and a whole of host of head-turning works of public art. These might be bright graffiti panels or large-scale installations like Ellen Lanyon’s Gateway, recording Chicago’s story through 28 ceramic tile murals. You can board a cruise boat or water taxi of course, or take matters into your own hands on an urban kayak or “cycleboat” tour. With dramatic urban scenery, terraces stepping down to the water and bars grills and cafes, it’s no shock that the Riverwalk has become a go-to on date night. 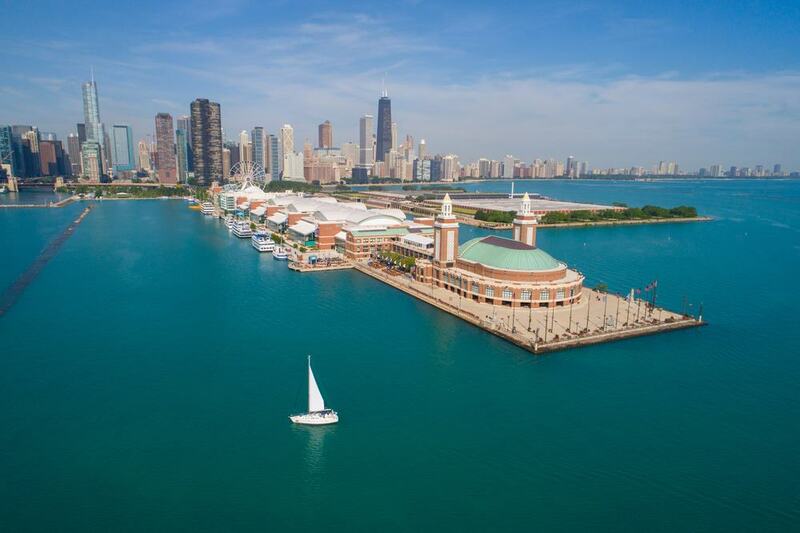 Set where the Chicago Portage enters Lake Michigan, the Navy Pier is a multifaceted visitor attraction extending over the water for six city blocks. As one of the top days out in the Midwest, an attraction of this magnitude is hard to sum up in one paragraph. But in 50 acres you’ll come across the vast multisensory Funhouse Maze and the 65-metre Centennial Wheel, footed by fairground rides and amusements. There’s also weekly fireworks in summer, an IMAX Theatre, the Chicago Children’s Museum and the Crystal Gardens botanical garden with more than 80 palms. 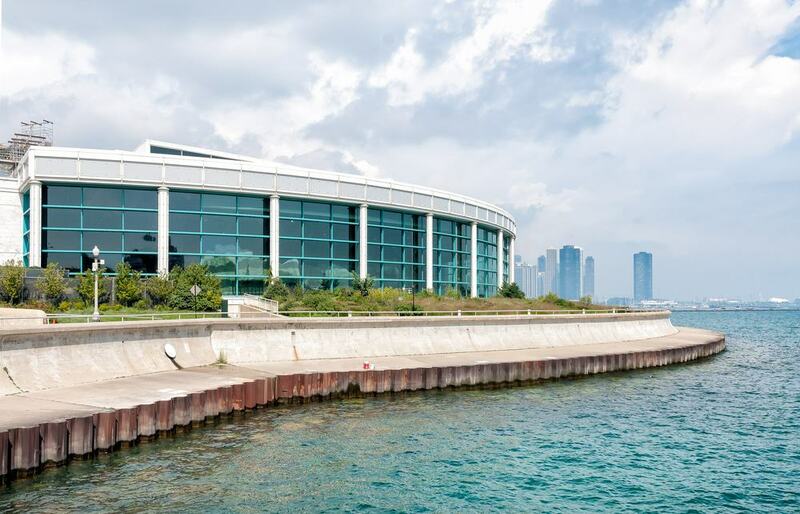 You can use the pier as the jumping off point for cruises on the lake or river, take in some live music at the Miller Lite Beer Garden and watch the drama unfold at the non-profit Chicago Shakespeare Theater. The anchor for the AT&T Plaza in Millennium Park is an enchanting piece of public sculpture by Anish Kapoor. Installed in 2006 and affectionately dubbed “The Bean”, Cloud Gate is a rounded arch, clad with 168 highly reflective stainless steel plates. After a few teething problems due to its complicated design, Cloud Gate has quickly become an emblem for 21st-century Chicago. The monument was designed to bring to mind a blob of liquid mercury, and its value lies in how interactive it is. You can take photos of your own reflection against the distorted Chicago skyline, and while passing under the 3.7-metre, look up into the “omphalos”, a concave chamber that twists and multiplies reflections. A mainstay of Chicago’s silhouette, 875 North Michigan Avenue (formerly the John Hancock Center) is a 344-metre skyscraper on the Magnificent Mile. Tapering as it rises, the tower was topped off in 1969 and appears in pretty much any movie that needs an establishing shot for Chicago. Up close you can watch its characteristic X-shaped bracing zigzag up the facades. The view from 360 Chicago on the 94th floor has been rated as one of the best in the country, and the ride up there takes less than 40 seconds. There’s a cafe and bar up, as well as interactive displays labelling the landmarks on the horizon in each direction. If you have a steely disposition try “Tilt”, a glass capsule that tilts forward at 15°, 25° and 40° for a bird’s eye view of the city streets 300 metres below. Formerly the home of the Chicago Public Library, in 1991 this striking Neoclassical building in The Loop became the first free municipal cultural centre in the United States. There are more than 1,000 exhibitions and programmes here every year and they’re as diverse as you’d expect from a city like Chicago. All for free, you can catch theatre, dance, music, lectures, film screenings and family-oriented events. No matter what’s on, you have to take the opportunity to look inside this building from 1897. 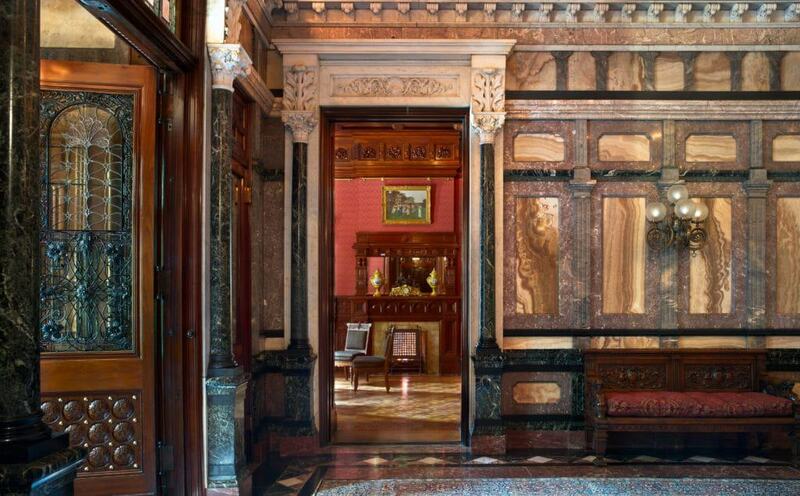 The nation’s top craftsmen were hired for the interiors, working with valuable materials like fine hardwood, rare imported marble, polished brass and mother-of-pearl. The two domes are not to be missed: The south is the largest stained glass Tiffany dome in the world, while the larger Renaissance-style dome on the north side is 12 metres in diameter and has 50,000 glass panels. The Chicago Cubs play at the second-oldest ballpark in the Major League. Wrigley Field (1914), nicknamed “The Friendly Confines” by the legendary Ernie Banks, is noted for its ivy-clad outfield walls and has an iconic manual scoreboard. The stadium may catch you off-guard, as it sits in the middle of a residential neighbourhood and has no car park, now a rarity for US sports venues. The wind blowing towards or away from Lake Michigan (out or in) can turn potential home runs into outs, or send balls out of the stadium altogether. 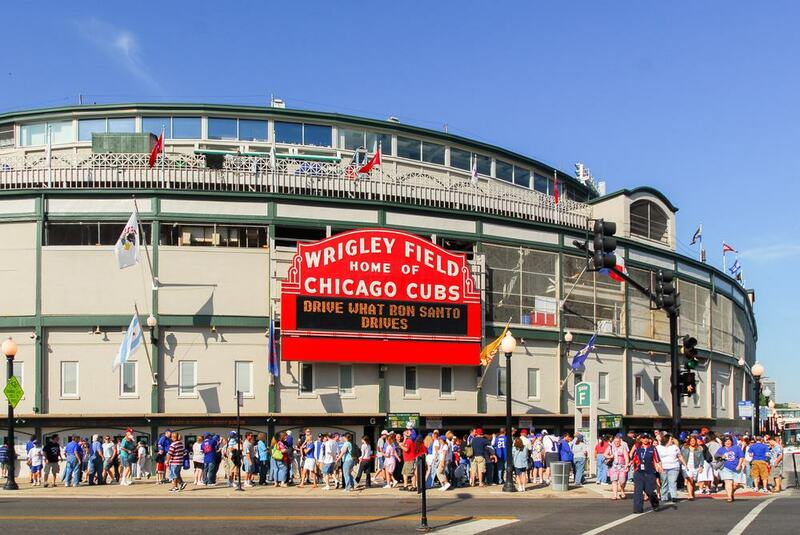 Come to see the 2016 World Champions at one of 66 regular season games, checking out the famous red entrance marquee from 1934 and to treat yourself to a Chicago hot dog. Named for a former first lady of the city who passed away in 2011, Maggie Daley Park is one of Grant Park’s newest treasures. 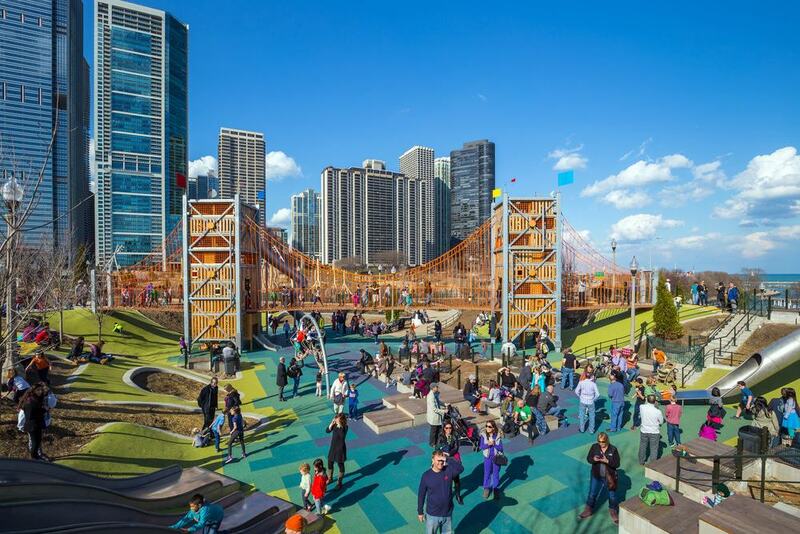 Laid out by landscape architect Michael Van Valkenburgh, the park opened in the northeast corner of Grant Park 2014 and shines for its recreation and family facilities. The whimsical Play Garden, for kids up to 12, is a playground like you’ve never seen, with six different zones like the Watering Hole which has a giant breaching whale, and the Enchanted Forest where you’ll walk under upside down trees . There’s also an ice skating ribbon, a quarter of a mile in length, picnic groves, an 18-hole mini golf course and rock-climbing walls. You’ll step back into America’s Gilded Age at the refined Nickerson House, built in 1883 for the banker Samuel M. Nickerson. Close to the Magnificent Mile, on the Near North Side, the house looks a little out of place, dwarfed by the city’s bold Neoclassical monuments and glass-clad skyscrapers. In 2003 the Chicago fund manager and philanthropist turned the Nickerson house into a museum, blending the original furnishings with luxurious Art Nouveau glazed tiles, stained glass, onyx, carvings and marble all sourced from other places. The museum is heaven if you like decorative arts. You’ll find some lovely pieces by Louis Comfort Tiffany, like a large fire screen, a set of vibrant stemware, a blown-glass humidor and a peculiar centrepiece lamp. The ballroom has Edward Colonna furniture you can sit in, while some other exceptional pieces include Sèvres vases, a suite of George A. Schastey neo-Empire chairs, pre-Raphaelite paintings and a rare Chickering and Sons grand piano. At the centre of Grant Park, between the ornamental North and South Rose Gardens is a sight that needs a double take. Hewn from Georgia pink marble, the Buckingham Fountain (1927) is one of the largest in the world, standing almost eight metres tall, with nearly 200 jets and a pool measuring 85 metres across. The Rococo design is borrowed from the Latona Fountain at Versailles, and is an allegory for Lake Michigan, with four pairs of sea horses representing the states of Illinois, Wisconsin, Michigan and Indiana. 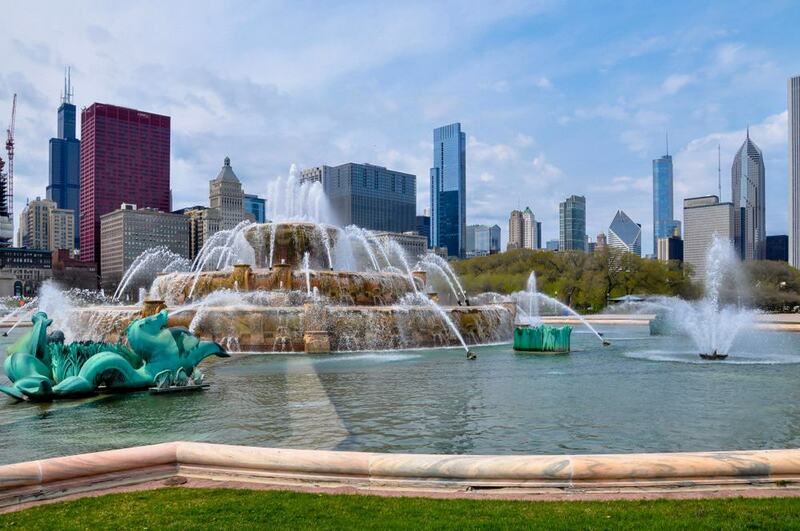 At any one time there’s 5,700,000 litres of water in the Buckingham Fountain. Stop by for the 20-minute water display on the hour, shooting jets up to 50 metres into the air. Eighteen miles of Chicago’s shoreline can be accessed on a waterfront path, threading through all four of the city’s lakeside parks. The Lakefront Trail is shared by cyclists, joggers and families. People use the trail to get to work, and to stroll next to Lake Michigan and savour Chicago’s skyline. 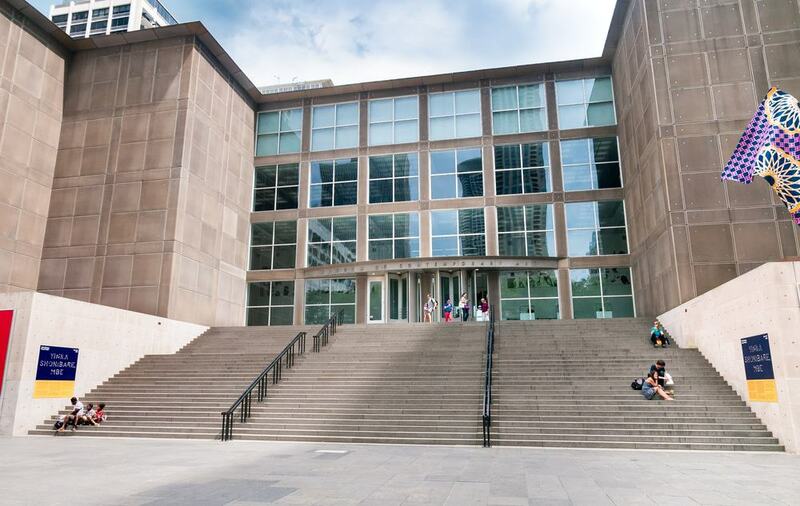 You can use the path to get to a whole catalogue of interesting places, from the South Shore Cultural Center to Navy Pier and the Shedd Aquarium. 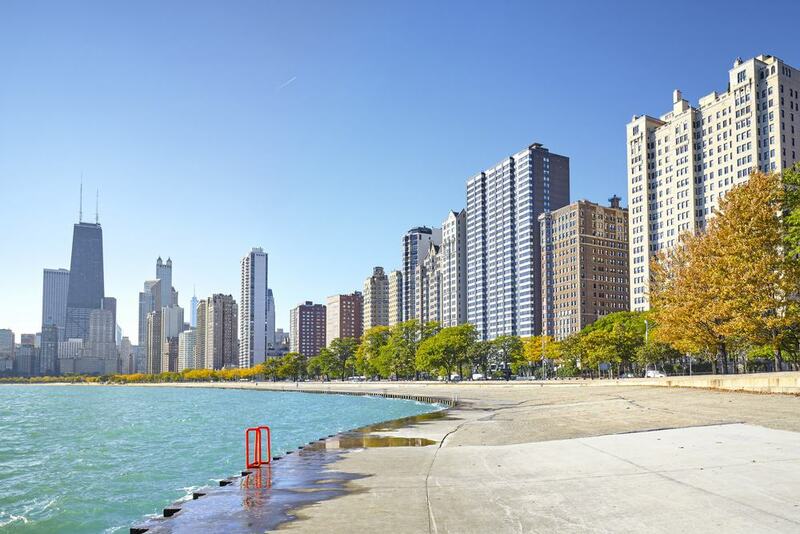 In summer you can hop from beach to beach and to get a dose of greenery at Grant Park or Lincoln Park. There are bike rental companies all along the trail, or you could buy a day pass for Divvy, Chicago’s bike sharing system. Limitless inspiration for kids, the Museum of Science and Industry has show-stopping exhibits on an amazing scale. 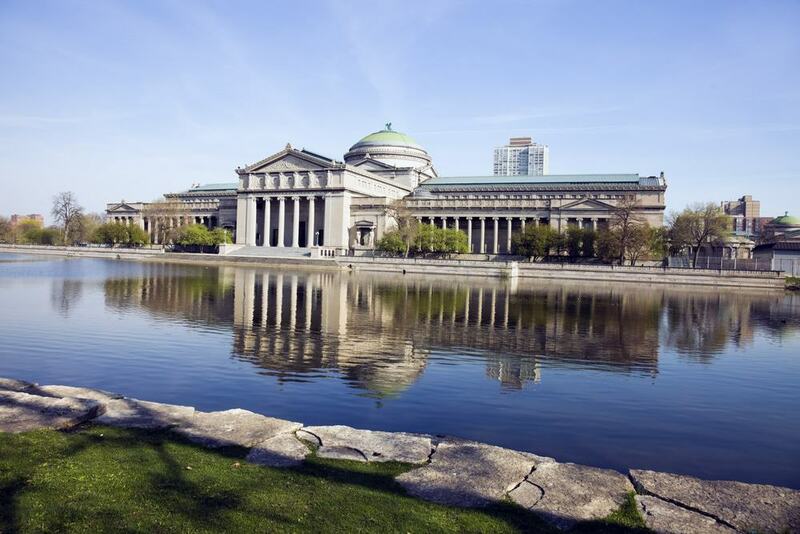 The venue is the old Palace of Fine Arts, built in 1933 in Jackson Park for the World’s Columbian Exposition. Some of the jaw-dropping sights here are a full-size German U-505 submarine captured during the Second World War, the Pioneer Zephyr, a glorious stainless steel diesel locomotive from 1934 and the first Boeing 727 to enter commercial service. Young scientists can wrap their heads around big concepts at the Science Storms exhibit, which has a Tesla coil, Foucault pendulum and Wimshurst machine. There are relics from the Apollo missions at the Henry Crown Space Centre, while the central pavilion has a replica of a deep-shaft bituminous coal mine, in which you’ll take a mine train and see historic equipment from the 1930s. 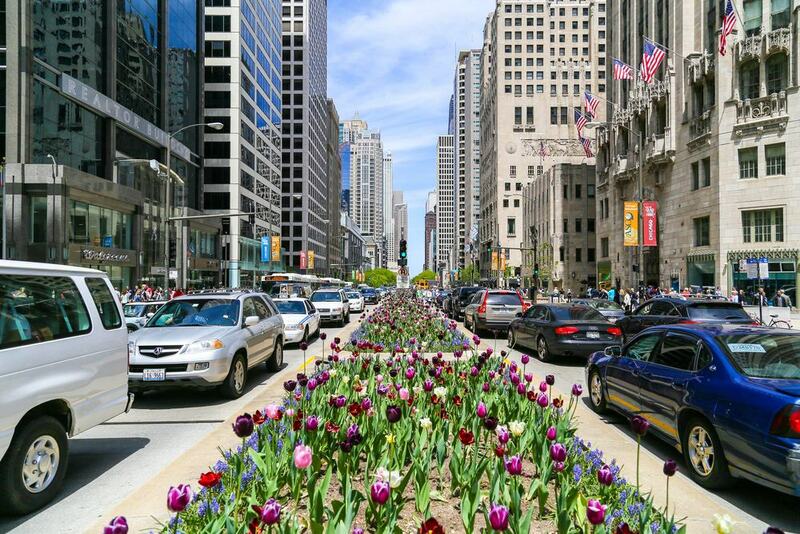 Squeezed into eight blocks on the arterial Michigan Avenue is a whole world of shopping, entertainment, dining, dazzling architecture and more things to do than you could manage in a whole holiday. Many of the sights or attractions on this list are on this street, or a stone’s throw from it. There are 275 restaurants and more than 460 retailers here, from flagship stores for Zara, Disney and Nike to scores of boutiques and ritzy emporia for Rolex, Boss, Burberry and any other high end brand you can think of. Soaring overhead are icons of the Chicago skyline like the Tribune Tower (1925) and the Wrigley Building (1924) in the south and 875 N Michigan (1969) towards the north end. For a more unassuming sight, stop for a snap of the castle-like Chicago Water Tower, dating to 1869 and the second oldest surviving water tower in the United States. Well west of the Chicago Loop, Garfield Park warrants the 15-minute cab ride into a slightly down-at-heel neighbourhood. 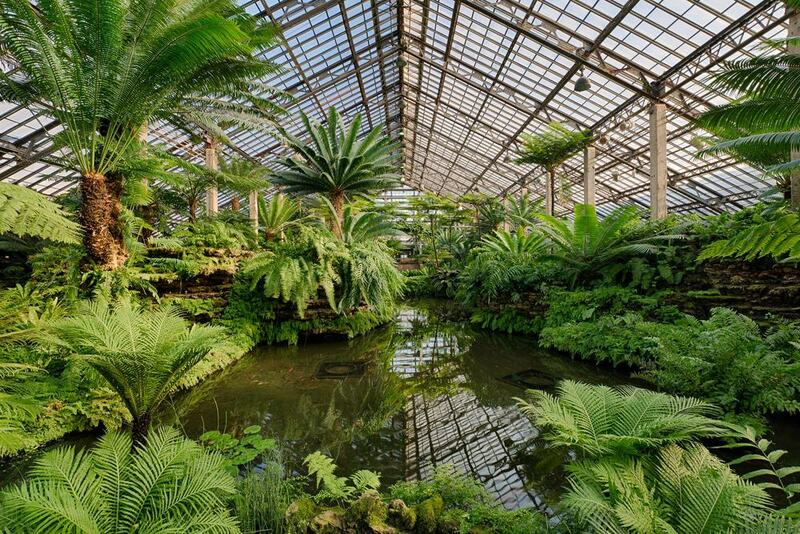 The trip is for the world’s third largest garden under glass, an astounding botanical conservatory with eight indoor display gardens. The conservatory was completed in 1908 and designed to resemble the haystacks of the Midwest. The moment you step inside you’ll be in the Palm House with more than 80 varieties of palm tree. Also see the incredible ferns and cycads against the waterfall in the Fen Room, and one of the nation’s most varied collections of cactuses and succulents in the Desert House. Come by any day in summer and there will be something going on, like free yoga, gardening demonstrations and a chance for kids to get up close to animals like harmless snakes and goats. Now their misdeeds are in the distant past, there’s no denying the fascination evoked by Chicago’s prohibition-era mobsters. 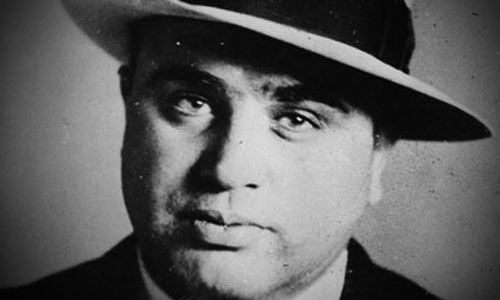 Names like Al Capone, Bugs Moran and Dion Johnny Torrio remain household names. The city has changed so much in the last century that you’d never guess that benign looking neighbourhoods witnessed a bitter war that claimed scores of lives in the 1920s and 30s. So you have to turn to local historians, and GetYourGuide.com offers a 90-minute Mob and Crime Bus Tour. This uncovers the dark past of the Windy City, profiling notorious men like Capone and John Dillinger. You’ll visit the site of the Valentine’s Day Massacre and the Biograph Theatre, where Dillinger was gunned down by FBI agents. Sharing the Museum Campus Chicago with the Field Museum and the Adler Planetarium, the Shedd Aquarium (1930) was for some time the largest indoor aquarium in the world. Donated by the philanthropist John G. Shedd, the attraction has an incredible 32,500 aquatic creatures from across the planet. These are in immersive zones like Amazon Rising, which has caimans, anacondas, piranhas and freshwater stingrays in tanks among the roots of rainforest trees. Also mandatory are the Caribbean Reef, housing a rescued green sea turtle, the Wild Reef with four varieties of sharks and the historic Waters of the World gallery home to colourful starfish and seahorses. Stingray Touch lets you find out what a cownose ray or yellow spotted ray feels like, while marine mammals like sea lions, penguins and sea otters can be found in the Oceanarium. 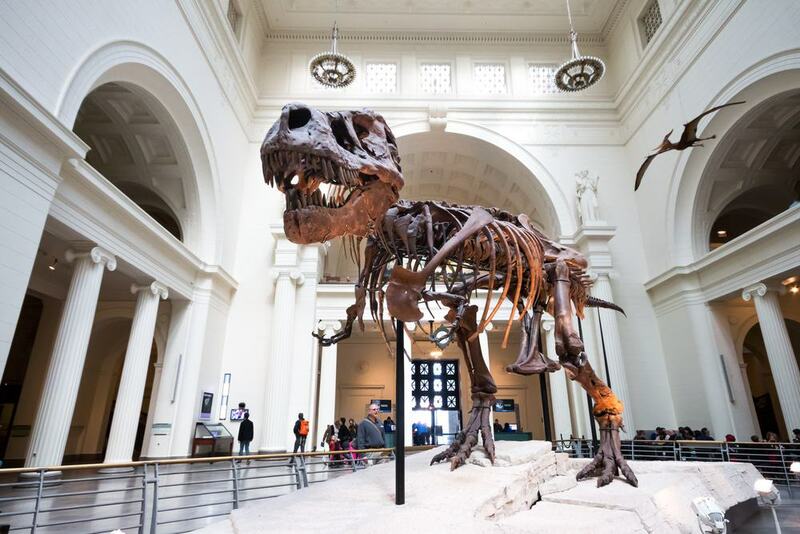 One of the best and largest natural history museums in the world, the Field Museum’s museum collection has swelled to more than 24 million objects since it opened in 1893. This a place to feed your fascination for the natural world, with grand Neoclassical halls housing fossils, priceless gemstones and animal and plant specimens. There’s also compelling anthropology for the Ancient Americas and Ancient Egypt, as well as Tibet, China, Africa and cultures in the Pacific Islands. The Geology Halls meanwhile have an exquisite collection of Chinese jade, and a stained glass window by Louis Comfort Tiffany. The star of the show is the 37-metre Titanosaur in the Stanley Field Hall. In 2018, this herbivore from Argentina replaced SUE, a T-Rex specimen, which will reappear at the Evolving Planet Gallery in 2019. There was a time in the 90s when a seat at the United Center was the hottest ticket in town. The Chicago Bulls moved to this arena in 1994 when Michael Jordan was on his strange hiatus in Minor League Baseball, and he’d return to lead them to three straight titles between 1996 and 1998. 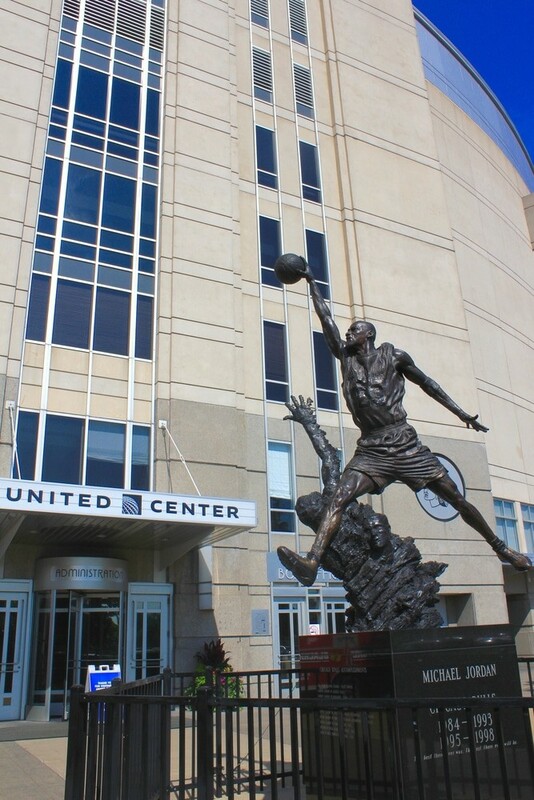 Out on the east side of the building is a statue in his honour, named The Spirit and showing him mid-dunk. 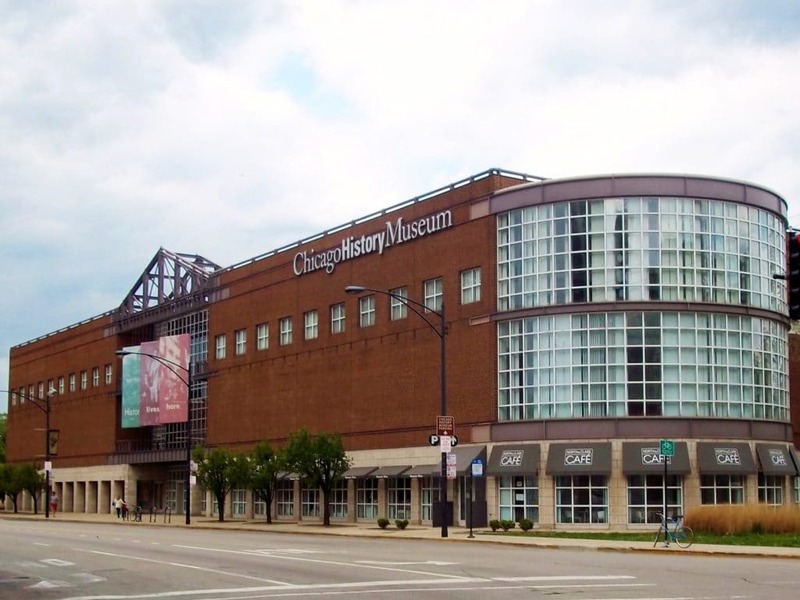 Fair to say that the 2010s aren’t a golden age for the Chicago Bulls, but if you are a fan or want to make a pilgrimage to this hallowed ground you can watch a game in the regular season from October to April. At roughly the same time of year, the Bulls share the United Center with the Chicago Blackhawks NHL team, which has had a much more successful decade, winning the Stanley Cup in 2010, 2013 and 2015. In Lincoln Park you can lift the lid on Chicago’s rich history, perusing fascinating thematic exhibitions. Facing Freedom goes into depth on the various struggles for freedom to beset Chicago from the 1850s to the 1970s, covering the Civil War, Women’s Suffrage, the formation of labour unions and Japanese internment. At Crossroads of America you can step into a jazz club or climb aboard Chicago’s very first L train, while the Chicago dioramas tracks Chicago’s breakneck rise from a lonely frontier outpost to an immense metropolis. Sensing Chicago lets kids jump into a gigantic Chicago-style hot dog, ride a vintage high wheel bike and hear the roar of the Great Chicago Fire. In 37 acres and dating back to 1868, this zoo deserves extra credit as one of the last remaining free admission animal parks in the United States. There are more than 1,100 animals here, in habitats that are constantly being revamped. The polar bear and African penguin enclosures for instance have just been reopened, while a recent arrival in 2014 is the Regenstein Macaque Forest where you can see Japanese macaques bathing in a hot spring as they do in the wild. 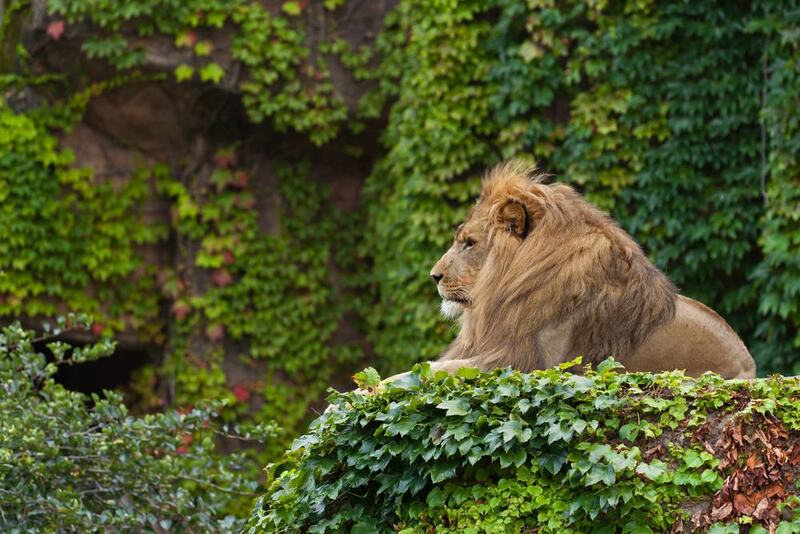 There’s a hint of the great age of the zoo at the Kovler Lion House, constructed in 1912, while some other family favourites to tick off are the Helen Brach Primate House (1927), seal pool, family petting zoo, the superb Regenstein Center for African Apes and the Regenstein African Journey. This has indoor and outdoor habitats for giraffes, pygmy hippos, ostriches, gazelles and many more. 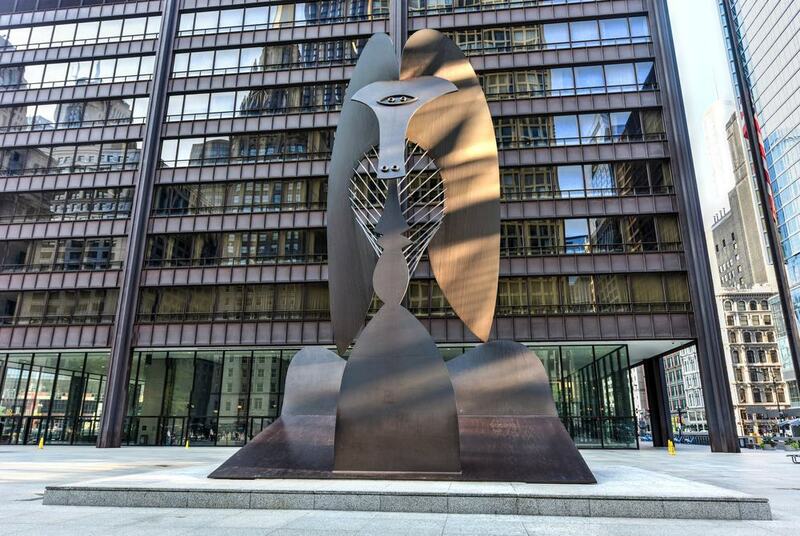 Pablo Picasso produced this monumental piece of public art for Chicago in the mid-1960s. Standing in Daley Plaza, the Chicago Picasso weighs almost 147 metric tons and stands over 15 metres tall. Since it was unveiled in 1967, the work, rumoured to depict French model Lydia Corbett who sat for a series of drawings for Picasso in the 1950s, is a landmark for the city and something for kids to clamber on. Early on, in a city that previously only dedicated statues to historical figures, the Chicago Picasso was a source of controversy, but now inspires affection as a famous meeting point and backdrop to public events on Daley Plaza like the Christkindlmarkt at Christmas. Chicago’s Gothic Revival Catholic cathedral, by Chicago Station on the Red Line, was completed in 1875 after its predecessor burnt down in the Great Chicago Fire of 1871. Eagle-eyed visitors will be able to spot an overarching Tree of Life Theme in the building’s fittings. On arrival you’ll be confronted by the cathedral’s immense bronze doors, each weighing more than 500 kilos and cast to resemble planks of wood. Inside, a few of the fixtures worth closer inspection are the Stations of the Cross in red Rocco Alicante marble, bronze sculptures depicting the Evangelists and the cathedra (bishop’s throne) for the Chicago Diocese. There’s also a slice of Chicago gangland history outside, where a cornerstone inscription is still chipped from the 1926 murder of mob boss and Al Capone rival Hymie Weiss. Another of the many things to love about Chicago is the way the city has been planned to grant access to the lakeshore. In hot weather this means you can slip off your shoes and set foot in Lake Michigan, or plan a whole day at the beach. Being slightly removed from the fabric of the city, Lincoln Park has what many people agree to be the best beach in the city. North Avenue Beach runs for a few hundred metres up to Diversey Harbor, with piers at short intervals to stop the sand being washed away. There’s a bar on the beachfront, as well as companies offering rentals and tuition for kayaking and stand-up paddleboarding. 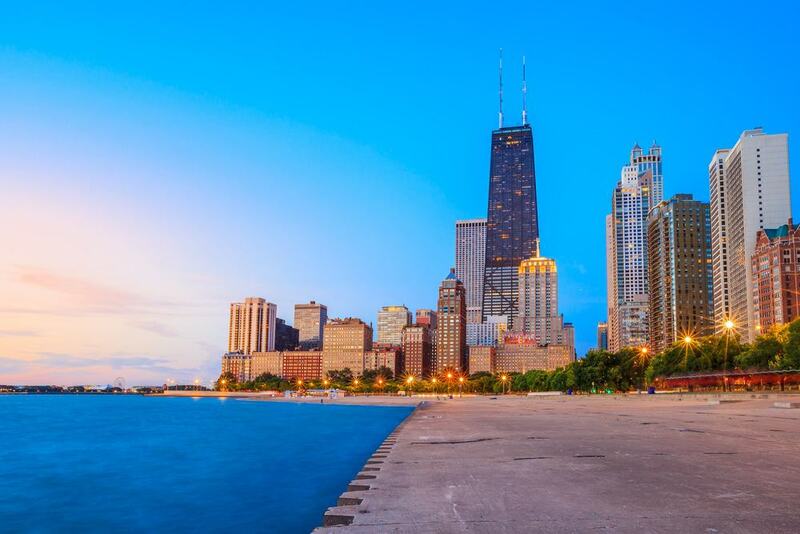 International competitions take place at the South Volleyball Courts here, while in August North Avenue Beach is the place to catch the Chicago Air & Water Show. The wonders keep coming in the Millennium Park, because we haven’t even mentioned the Crown Fountain (2004) yet. Here the Catalan artist Jaume Plensa designed two glass brick towers, 15 metres in height. They face each other across a black granite reflecting pool. Those glass bricks are installed with LEDs displaying changing photographic facial images of citizens’ faces, filling the towers. For a playful touch, water spouts from the a nozzle between their lips from May to October. Like most of the works in the Millennium Park the Crown Fountain is interactive, and on hot summer days you’ll see children paddling in the reflecting pools and cooling off under the waterfalls that cascade down the sides of the towers. The Burnham Plan of 1909 helped shape Chicago’s cityscape, and brought about this trunnion bascule bridge conducting Michigan Avenue over the main branch of the Chicago River. An official Chicago Landmark, the bridge opened in 1920 and once completed helped spur the flurry of development that gave rise to the Magnificent Mile. Go in for a closer look at the north and south pylons, which have bold reliefs depicting scenes from Chicago’s past, carved by Henry Hering and James Earle Frasier respectively. The south pylons depict Defence and Regeneration, while the north pylons show the Discovers and Pioneers. 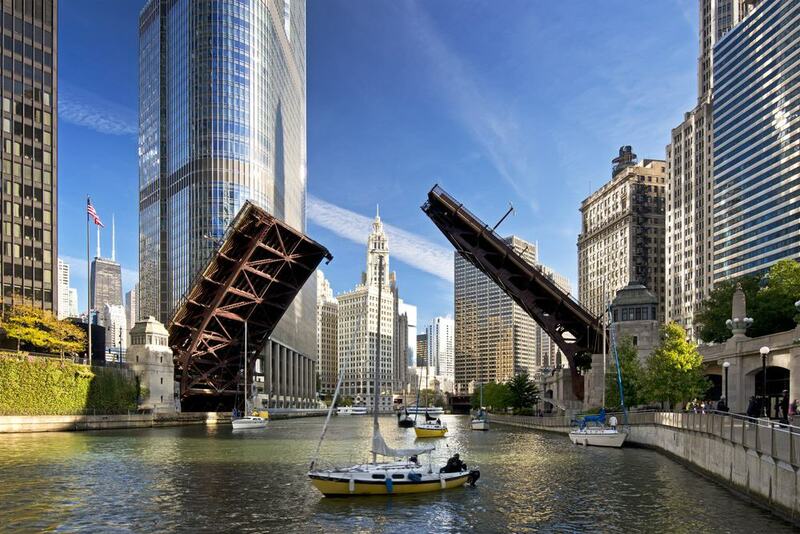 The southwest bridgehouse holds the McCormick Bridgehouse & Chicago River Museum, chronicling the history of the bridge and the Chicago River. To look at this house on the University of Chicago campus and know nothing about its origins, you’d never guess that it was built in 1910. Residential architecture would never be the same after the great Frank Lloyd Wright designed this home for Frederick C. Robie, the assistant manager of a company on the South Side. 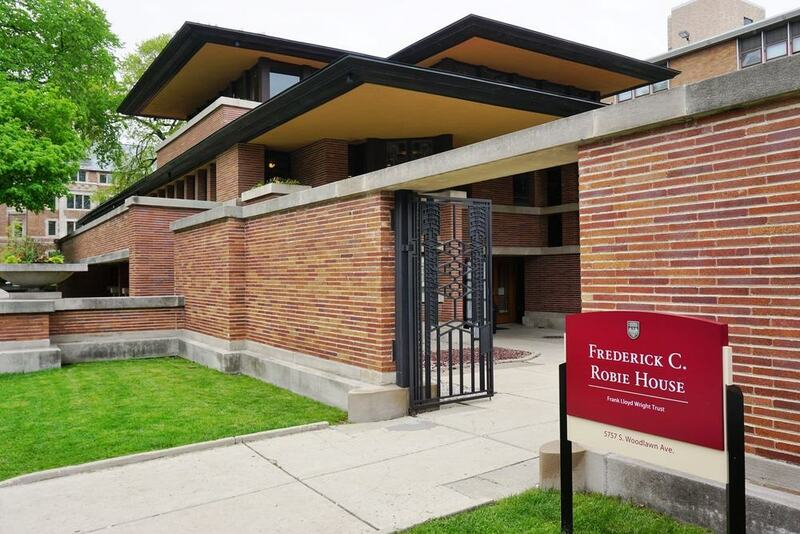 The Robie House is considered the pinnacle of the early-20th-century Prairie style, and you can go in for tours Thursday to Monday. The Prairie style expresses the sense of space in the prairie landscape of the Midwest, and this is captured by the low profile, long cantilevered eaves, broad balconies and even the use of narrow red bricks. The Robie House has marvellous art-glass throughout, personally designed by Wright, along with the house’s curtains, rugs, furniture, bathroom fittings, fireplaces and lighting. Dedicated to art from 1945 to the present, the Museum of Contemporary art is endowed with a serious collection, spanning surrealism, conceptual art, pop art and minimalism. You’ll get to see works by Chuck Close, Andy Warhol, Jasper Johns, Francis Bacon, René Magritte, Alexander Calder, Ann Hamilton and Richard Serra. When we wrote this article in 2018 there was a haunting exhibition by the Nigerian multidisciplinary artist Otobong Nkanga, combining installations, photography and textiles. From June to September, Tuesdays on the Terrace is a programme of summer performances by members of Chicago’s dynamic jazz community. As one of America’s “Big Five”, the Chicago Symphony Orchestra is among the most prestigious classical ensembles on the planet. 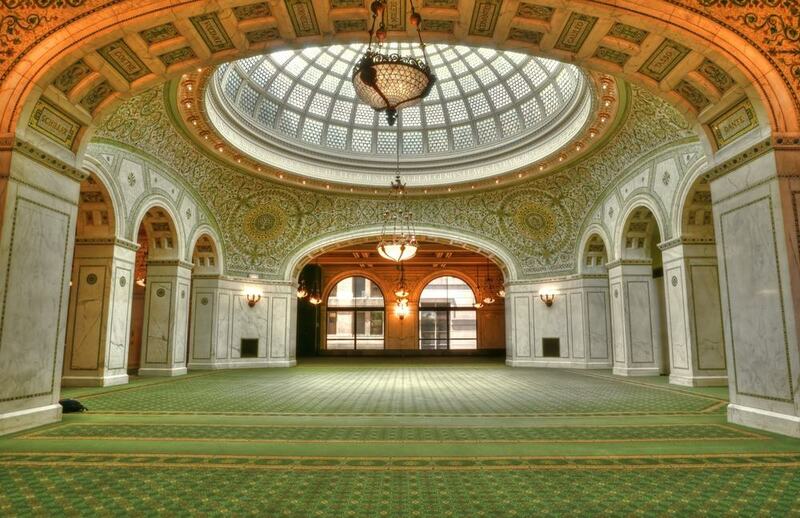 You can see them at the Symphony Center, a National Historic Landmark on South Michigan Avenue. This venue is a complex made up of the Grainger Ballroom, Buntrock Hall and the 2,522-seater Orchestra Hall. On the frieze above the facade’s arches windows you’ll read the names “Bach, Mozart, Beethoven, Schubert and Wagner”. By 2018 Riccardo Muti had been the conductor for eight years. Prices start at $30, and the 2018-19 season included Mahler 3, Verdi’s Aida, Mozart’s Requiem, Tchaikovsky’s 6, and performances by some of the world’s top soloists and guest conductors. An absurd amount of comic talent has come out of Chicago over the last 60 years, and one of the reasons for that is Second City. This fabled comedy club and improv company on Wells Street counts Steve Carell, Billy Murray, Tina Fey, Amy Poehler, Stephen Colbert, Dan Aykroyd, John Belushi and John Candy among its alumni. There are three stages at Second City, “Mainstage” and “e.t.c. Stage” for sketch comedy and improv acts, and the UP Comedy Club for stand-up. Chances are you’ll get see a future TV or film star honing their comedic powers here. One of five Tony award-winning venues in Chicago, the Chicago Theatre warrants a photo, even if you’re not planning to see a show. That’s partly because of the marquee and vertical sign, which often appear in movies set in the city. The venue opened in 1921 as an opulent motion picture house, and if you step back across State Street you can get a good look at the facade. This has a beautiful central arch that mirrors the false-perspective effect of the Palazzo Barberini in Rome, and is glazed with Tiffany stained glass. 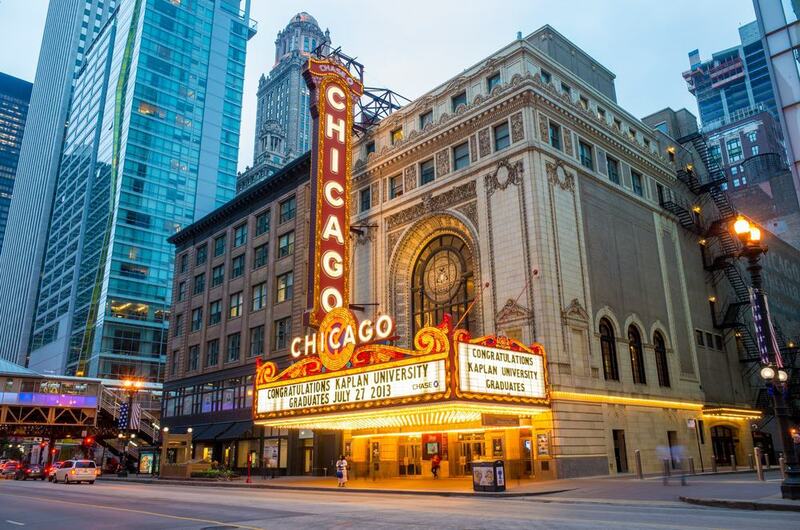 Now one of Chicago’s best spots for performing arts, the theatre is owned by the Madison Square Garden Company and puts on a varied programme of comedians, world-famous musicians, dance companies and lectures by renowned cultural figures. Beach House, Neil deGrasse Tyson, Simple Minds, Christina Aguilera and Jim Jefferies were all in store for Fall 2018. While you’re down at the Robie House, head to this awesome museum at the University of Chicago’s Oriental Institute. Opened with funding from John D. Rockefeller Jr., the ivy-clad museum is a treasure chest of ancient artefacts discovered during digs in Turkey, Israel, Egypt, Iran, Iraq and Syria. A couple of the most remarkable exhibits are an imposing statue of King Tutankhamen and a giant human-headed winged bull from the Assyrian city of Khorsabad. From around the same period there’s a set of ornate Luristan Bronzes produced in western Iran in the early Iron Age, and a stunning array of paper-thin ivories carved in the ancient city of Tel Megiddo, now northern Israel. Like so many places on this list, the museum is free, but does encourage donations. 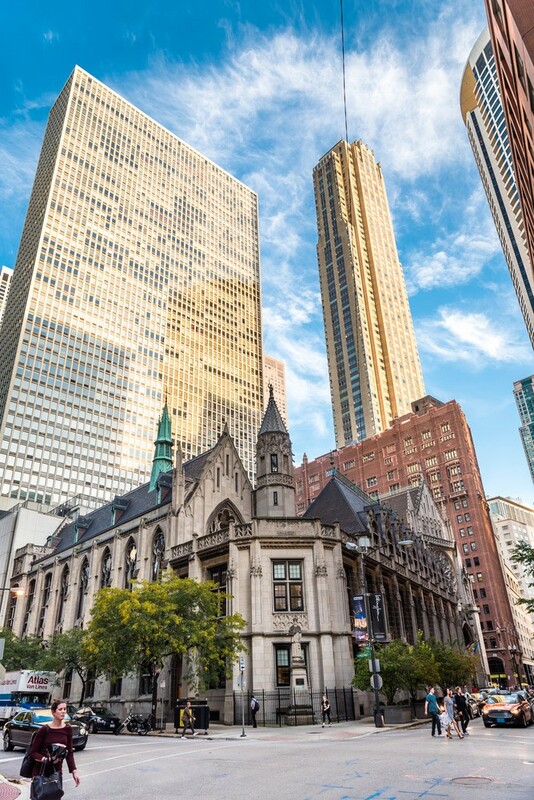 Built in the mid-1920s for the Chicago Tribune, this iconic Gothic Revival skyscraper on the Magnificent Mile is now being turned into condominiums. 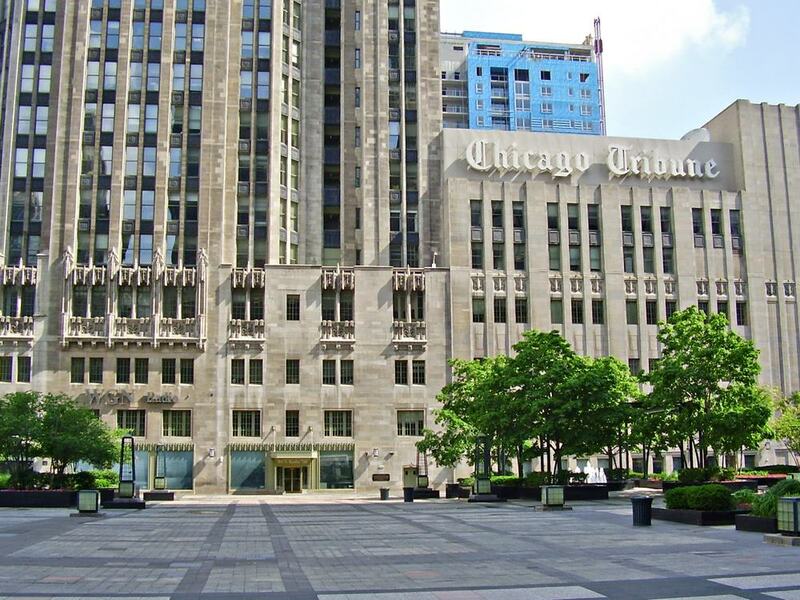 The Tribune Tower is clad with Indiana limestone, and came about after a design competition to mark the paper’s 75th anniversary. At night you’ll get a clear view of the buttresses and tracery at the very top, while there are lots of details to discover on the lower storeys. In the years before the tower went up, the Tribune’s publisher Robert R. McCormick had asked his correspondents to bring him fragments of famous monuments from around the world. So, embedded in the stonework are pieces from the Hagia Sophia, Taj Mahal, the Butter Tower of Rouen Cathedral, the Alamo, the Great Pyramid and the Great Wall of China, to name a few. In Grant Park, the Adler Planetarium (1930) is both a respected institution at the Museum Campus and a noble landmark in its own right. The planetarium occupies a nub of land sticking out over the lake on Northerly Island. By the water to the north is the Adler Planetarium Skyline Walk, blessed with the ultimate view of Chicago’s skyline. Inside, kids can interact with exhibits dealing with topics like the Solar System, the composition of planets and the Moon missions. You can also find more fact-heavy exhibitions about the history of telescopy and the origins of the universe. 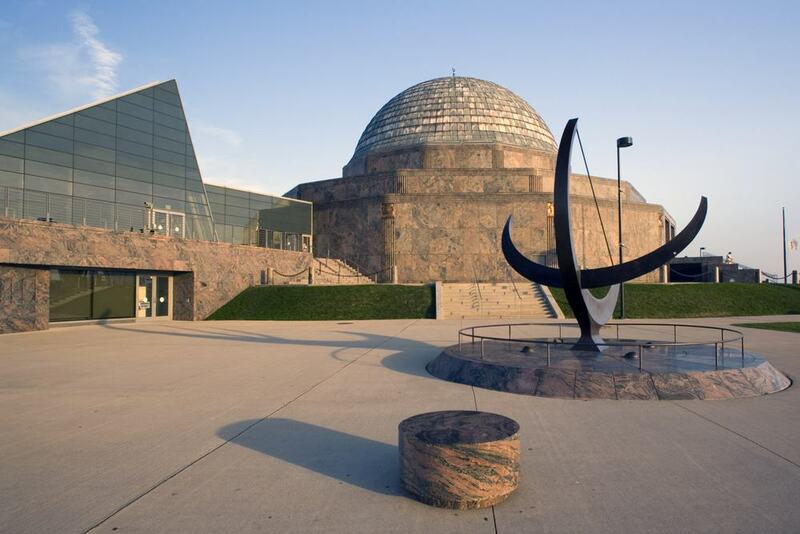 Projected shows are the cornerstone of any planetarium, and the Adler has a big choice, showing the sky above Chicago with light pollution filtered out, and sparkling presentations about the mysterious Planet Nine and nebulae. There are also free live events, like a viewing of Mars in July 2018, when the planet was at Opposition. The Chicago Children’s Museum promises a few hours of active, engaging fun for youngsters. 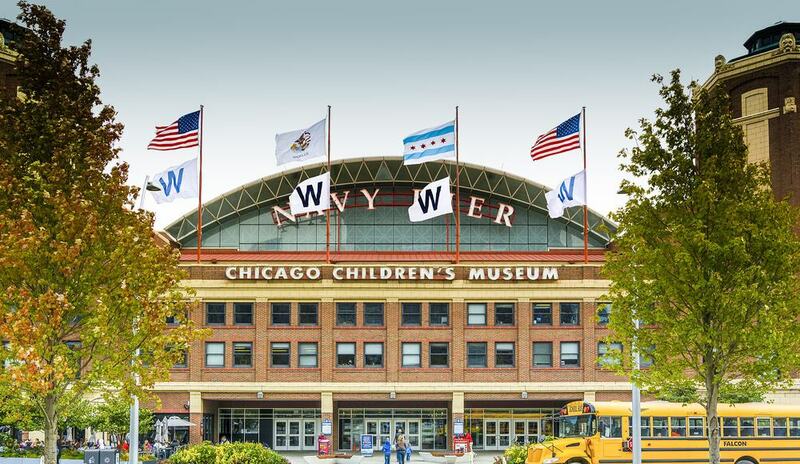 On Navy Pier the museum has 15 interactive exhibits over three storeys, each mixing play with learning. In that spirit, the Tinkering Lab for instance features genuine tools and materials giving kids the freedom to create whatever comes to mind, while Skyline is a crash course in architectural engineering, letting children experiment with skyscraper designs. Play It Safe is a fun indoor play zone in partnership with the city’s Fire Department, teaching little ones about fire safety as they escape from a room filled with pretend smoke and shoot down a fire station pole. There’s a whole calendar of special activities and workshops, and something different happening on a every visit. Based on Navy Pier, this adored non-profit theatre company has done as much as anyone to help keep Chicago on the cultural map over the last 30 years. In short order the theatre has earned three Laurence Olivier Awards, as well as a regional Tony in 2008. Its main aim is to introduce people to the works of William Shakespeare, through school tours, summer plays in parks and productions at its own majestic venue, adding up to 600 performances a year. 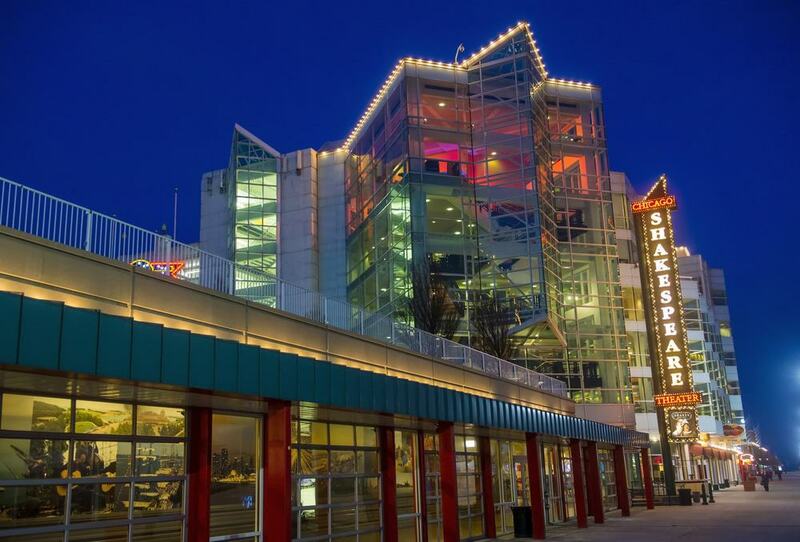 The company has been at Navy Pier since 1999, in a complex with two auditoriums: The 510-seater Courtyard Theater and the more intimate Upstairs theatre. The programme is crafted for everyone, and has meaty productions of Macbeth and Hamlet, and light family musicals like Peter Pan and Bedknobs and Broomsticks. People go out of their way to visit a masterpiece of landscape architecture in Lincoln Park. This pond is named after its designer, Alfred Caldwell who worked on it in the second half of the 1930s. In the same vein as the Robie House, the environment is laid out in the Prairie style. You’ll definitely sense the Prairie school’s love for low horizontal forms and the natural landscapes of the Midwest. 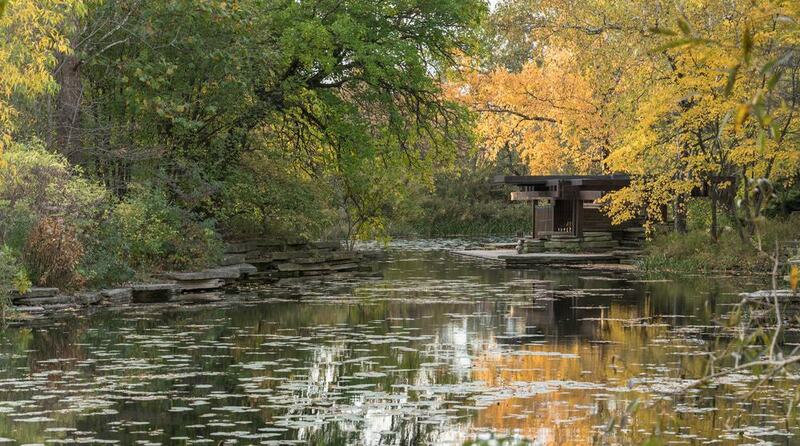 A National Historic Landmark since 2006, the pool is traced by winding stepping-stone paths, wide stratified slabs of limestone, circular benches, plants native to the Midwest, a waterfall and waterside pavilion. This child-friendly museum in Lincoln Park presents the natural history of the Chicago region in smart and interactive ways. As an institution the museum was founded back in 1857 and moved into a new home in the park in 1999. 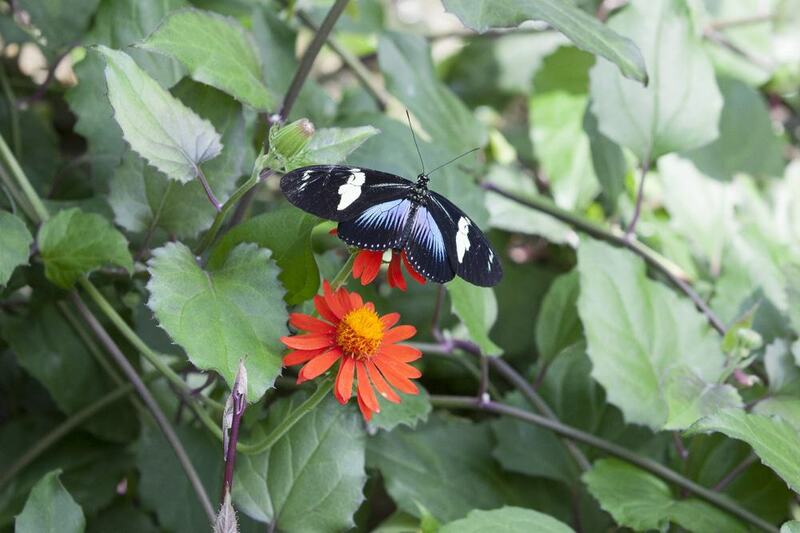 The old museum, now used by the zoo, was known for its detailed static dioramas, and while these are still here, they’re joined by spellbinding living environments like the astonishing Judy Istock Butterfly house, where 1,000 butterflies flutter in a 250-square-metre greenhouse. During the “Critter Connection” every day at 11:30 kids can get an up close look at more than a dozen different amphibian species at the Animal House. There’s also a bird walk, leading to a platform over Lincoln Park’s North Pond, as well as hands-on stations where kids can learn about rivers, solve nature-inspired puzzles and explore a beaver lodge. 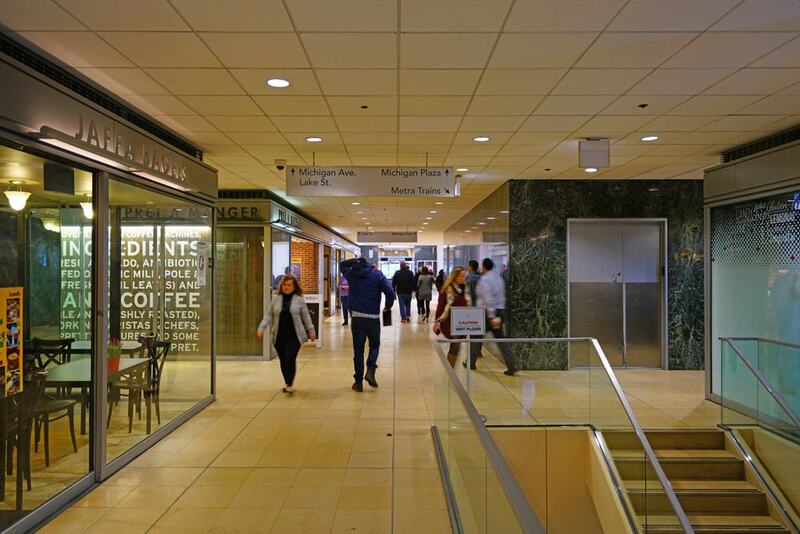 Under the city streets and spanning more than 40 blocks north to south, Chicago has a vast network of pedestrian tunnels, as an answer the vicious winter weather and to provide easy links between “L” stations. The oldest sections, between State and Dearborn streets date back to before the Second World War. The rest of the network was begun in the 1950s and expanded in the 60s and 70s. Not all of the Pedway is subterranean, as there are enclosed raised footbridges. As ever, there are works of public art adorning the tunnels, along with restaurants and shops. In the Pedway by Macy’s check out the beautiful display of 22 stained glass panels, a holdover from the defunct Smith Museum of Stained Glass. Strolling along the Chicago River you’re sure to see the yellow Chicago Water Taxi zipping past. In this part of the city, these boats stop at Michigan Avenue and further west along the Riverwalk. 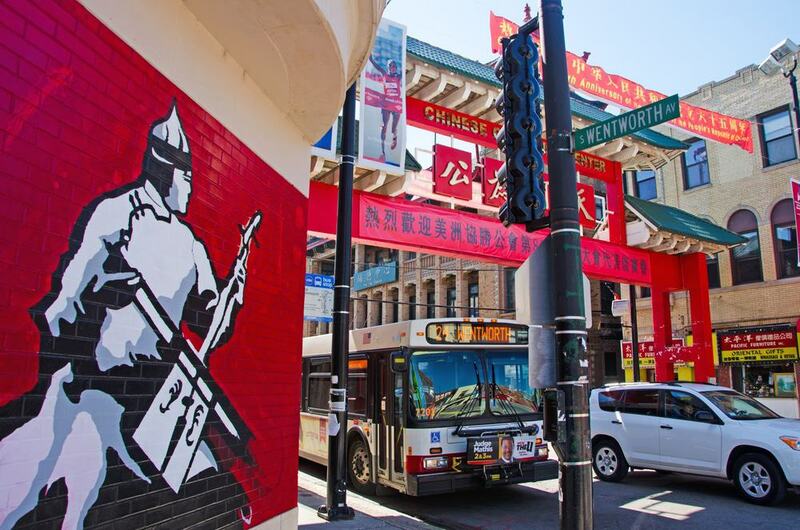 One idea for a trip is to catch the taxi down to Chinatown. The scenic journey through the Loop and South Loop will take about 40 minutes and there are services all day in summer, but especially around lunchtime. And that’s because one Chinatown is a Dim Sum paradise. Head for Dolo Restaurant and Bar and MingHin Cuisine where there are so many options you won’t know where to start. But people come a long way for MingHin’s Macau pork belly at deep fried taro puffs. 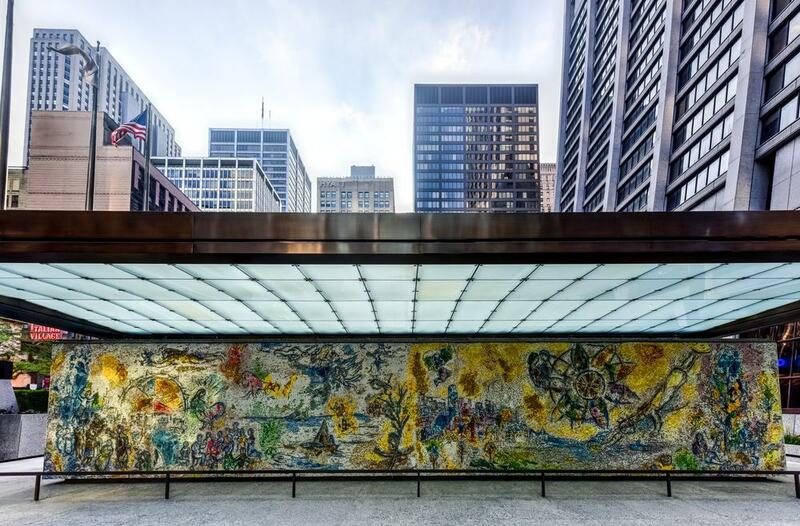 Under a glass canopy at the Chase Tower Plaza in the Loop is another exceptional piece of public art ready to enchant passers-by. This figurative mosaic is by Marc Chagall and was donated by the stockbroker Frederick H. Prince. The Four Seasons is big by any measure, wrapping around a box 21 metres long, 4.3 metres high and 3 metres across. It is made up tens of thousands of inland chips in more than 250 colours, and has hints of the Chicago skyline, suns, flowers, birds, fish , lovers and musicians. While we’re talking about Chagall – when the artist came to install the mosaic in the 70s he produced a set of stained glass windows for the Art Institute of Chicago to celebrate America’s Bicentennial. They are among the most treasured works in the collection, and you may recognise them if you’ve seen Ferris Bueller’s Day Off! 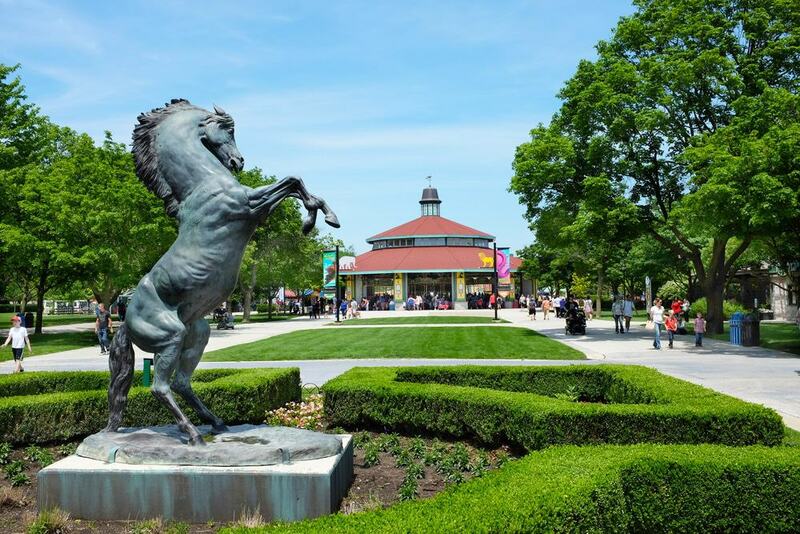 A Metra train ride out to the suburb of Brookfield, this zoo is in 216 acres of green parkland and boasts more than 450 species. The Brookfield Zoo made waves when it opened in 1934 as it pioneered the use of moats and ditches instead of cages, and was also the first in America to have giant pandas. One of the most recent additions is the Great Bear Wilderness, letting you get within inches of North Americas mightiest carnivores. Also new is Wild Encounters, where you can pet tame goats, walk through a wallaby enclosure and enter one of the largest free-flight parakeet aviaries in the world. Naturally, kids’ favourites like big cats, rhinos, giraffes are all at Brookfield Zoo, while Humboldt penguins are the stars at the Living Coast habitat. In a city that gave its name to whole genres of blues and house music, you can bet that Chicago is a big live music town. 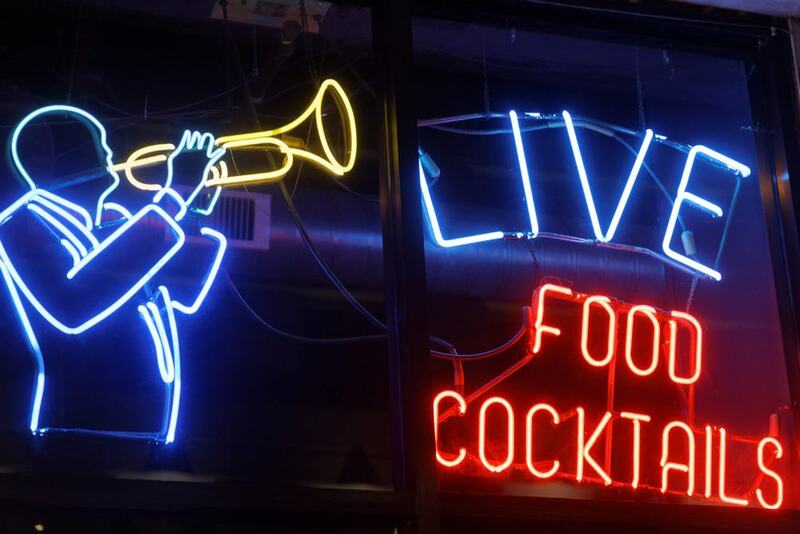 To tap into the city’s jazz and blues heritage, look for a few spots that have achieved legendary status. This an apt time to bring up Buddy Guy’s Legends, founded by the blues veteran on South Wabash in 1989, and where he still plays a series of shows every January. Kingston Mines in Lincoln Park dates back to 1969 and has two live shows a night without fail, while the venerable Green Mill Cocktail Lounge (1907) was run by mobsters in the Prohibition era, and Al Capone’s favourite booth is still here. On a wider scale, there are 225 live music venues in all, as well as some of the nation’s most exciting festivals, both free and ticketed, from the Chicago Jazz Festival to Lollapalooza and Pitchfork. 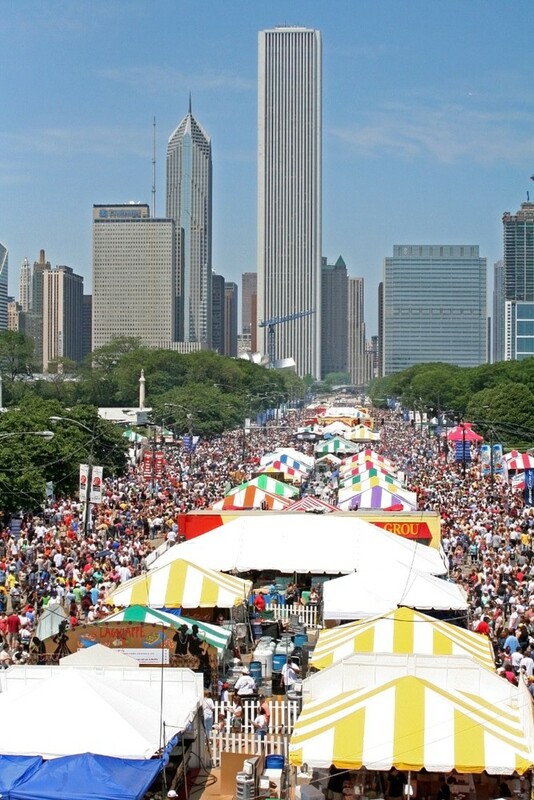 In mid-July Grant Park puts on the world’s largest food festival. The Taste of Chicago Festival drives home the full diversity of Chicago’s dining options. 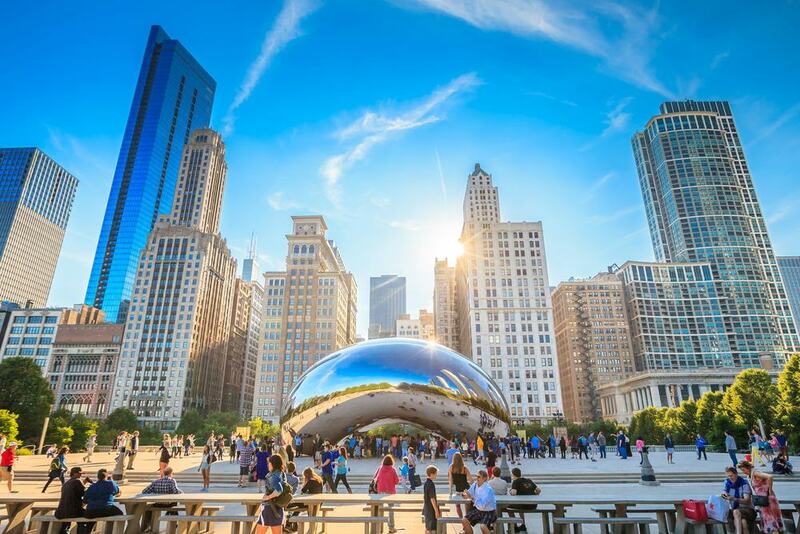 Bring an appetite and you can take a culinary trip around the world, discover the creativity of Chicago’s contemporary restaurants or renew your love affair with Chicago classics like Italian beef, cheesecake, pizza and hot dogs. There are pop-up restaurants, a whole armada of streetfood trucks and stands representing Chicago’s top eateries. You can go sample crazy, or see highly skilled chefs doing their thing at live demonstrations. And as the perfect accompaniment the festival organises live music by famous acts and the best of Chicago’s music scene. In 2018 George Clinton and the Flaming Lips played the Petrillo Music Shell. This totally free four-day music extravaganza takes place across the Labor Day weekend in Millennium Park. The event is now in its fifth decade, and dates back to 1974, when a festival was organised in Grant Park to honour Duke Ellington who had just passed away. The list of performers who have taken the stage at the Chicago Jazz Festival is a who’s who of jazz, gilded with names like Dizzy Gillespie, Ella Fitzgerald, Miles Davis and Sun Ra. Each year there’s a helping of Jazz royalty sharing the bill with stars of contemporary jazz and some undiscovered talent. Shows take place at the pavilions in Millennium Park (headliners play at the Jay Pritzker Pavilion), as well as Chicago Cultural Center. To round the whole thing off, here’s another big event that the city lays on for free. 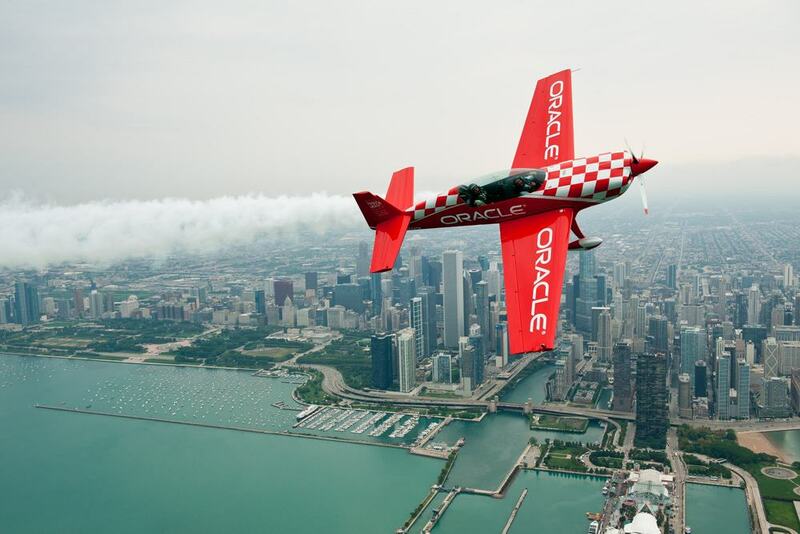 The Chicago Air & Water Show goes back to 1959 and remains the city’s second favourite festival, as well as the largest free show of its kind in the United States. Across a weekend in mid-August more than two million people line Lake Michigan, particularly the North Avenue Beach, for an exhibition of supersonic jets, formation flying, sky-diving and skywriting. These are normally Army and Air Force groups, like the Golden Knights parachute team and the U.S. Air Force Thunderbirds. There’s no better time to visit 360 Chicago, the Skydeck or take a cruise on the lake, while shore-side restaurants and bars put on viewing parties, though tickets will sell out months in advance.